If you’re searching for a reliable senior care facility in Woodland Hills, CA, you’ve come to the right place! Aging is an inevitable part of life. As you get older, it is important to plan your future and ensure you live a comfortable and fulfilling life. Recent research shows that the number of older people in the US is rising. With a surging older population, it is no surprise that the demand for quality senior care facilities has increased. Whether you’re looking for senior housing for an older adult with memory problems or a desire for a lifestyle change, AvantGarde Senior Living and Memory Care is a luxurious senior living community in Woodland Hills, CA. Finding a senior living facility can be a challenge for both seniors and their families. As people have different lifestyle needs, it is important to choose a senior care that best suits their requirements. At AvantGarde, we provide extraordinary senior care to ensure older adults live a happy and healthy life. you have any questions? Our trained and knowledgeable staff is always ready to address clients’ issues. 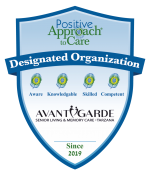 At AvantGarde, we try to make the transition to a senior care facility as smooth as possible for you. Get in touch with us now to schedule a tour of our facility or take a virtual tour of it online.